Ordering your new or replacement tyres direct from us is now as easy as 1, 2 3, 4 with our new integrated widget. All you have to do is simply put in your vehicle registration or size which makes it easy to select your brand. This widget allows you to go through simple steps to find a budget, mid or high range product from a variety of manufacturers. Once you have selected what you want, you can select your preferred date for collection and or fitting in the morning or afternoon. Along with this tyre valves, wheel balancing and disposal of your old tyres are all included. 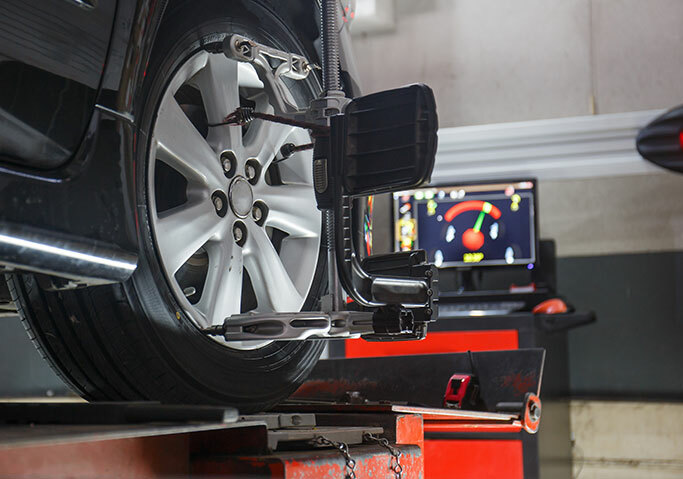 For an additional £48.00 front wheel alignment can be carried out.